Always good to find figures in the wild. JabbaWookie - Thats a sweet Ben congrats man! Tommy - congrats on that MISB Rancor cheers but DAMM! ont he VCJ! Bill - Hell of a coin! Craig the LJ collection is always amazing! Paul - You tree murderer Love them all!! Paul that’s a great couple of paperwork pieces. 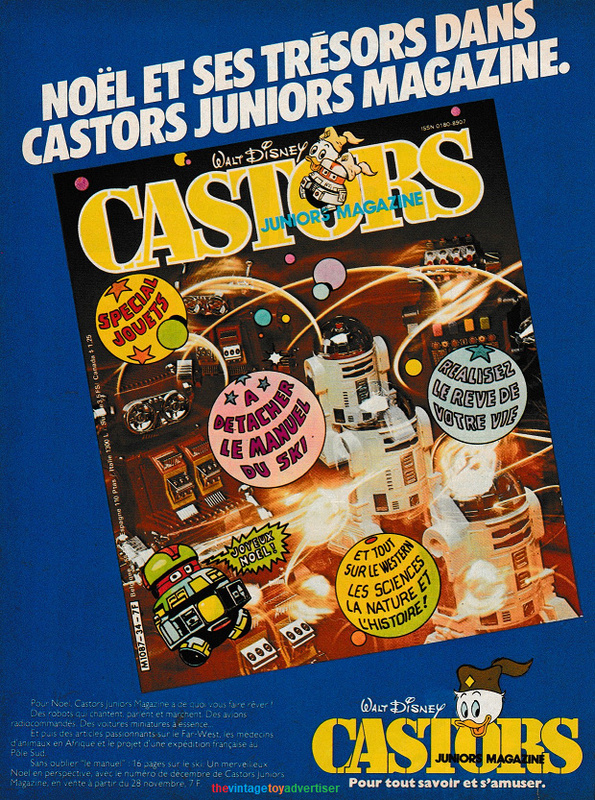 I love the explosive cover of Castors, with the mix of star wars and mechanical toy robots! Very cool! Our Town Centre didn’t have a Toy R Us size superstore back in the 80s. So smaller retail places like John Menzies, Woolies, Toymaster and Tescos would have been the places to pick-up figures and toys. 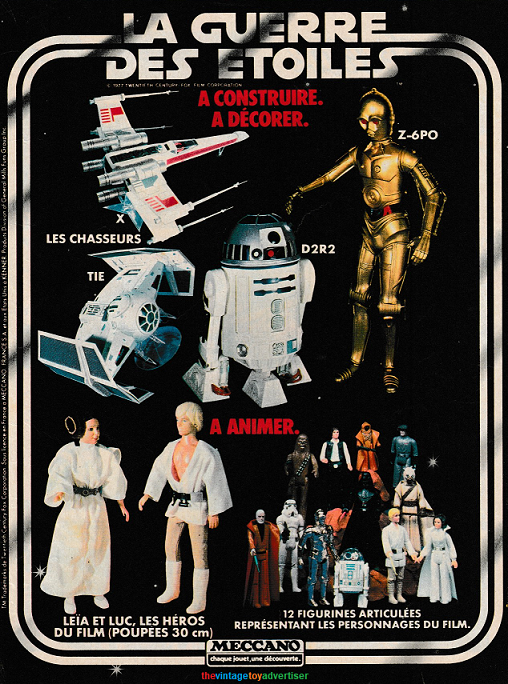 This poster was an exclusive freebie to folks who spent more than £5 on star wars. Love the giant imagery! My Third ESB-h baggie arrived today... here's the Trio. You can read more about it on my blog page, but it appears I have found the first (to me) Unitoys Luke Jedi Baggie. Even after all these years of collecting Luke Jedi... something new pops up. A part of my Luke Jedi focus this year has been to work on the preservation and display of the pieces that I already have. 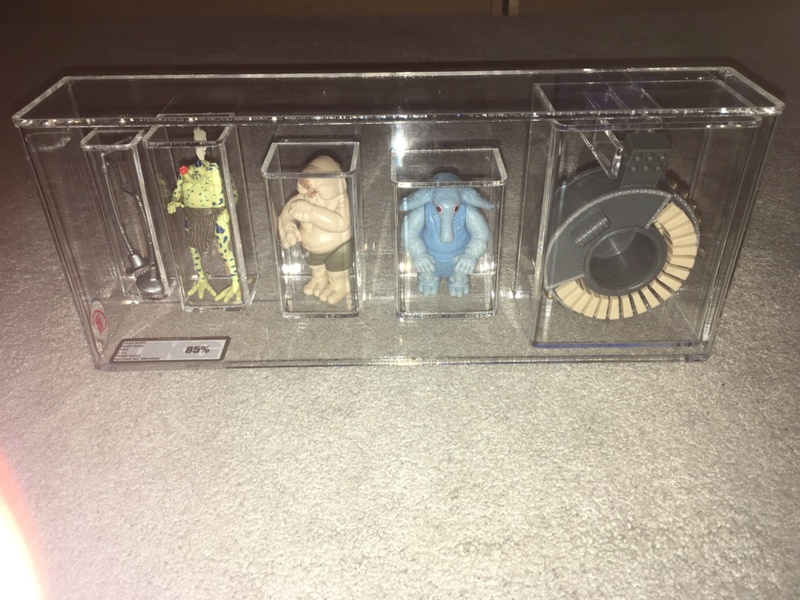 Below is a display case of 8 (mint & unused) Palitoy factory overstock Luke Jedi figures and accessories. These figures were made by the vendor Smile in the Far East and have the full “Hong Kong” COO stamp on the boot and come with the blue sabre. They are part of a huge quantity of Palitoy overstock that made its way to Australia after the Star Wars toy line died down in the 80s. These are from the same “loose” stock that Palitoy would have used to card-up both Palitoy 65-B and 65-C cardbacks locally in Coalville, UK and also package earlier Luke Jedi Palitoy Baggies that had the blue sabre inside. As I can’t sleep, thought I’d put a picture here. Finally got round to re-purchasing a loose Sy Snootles & the Rebo Band. I was very sad to have moved my loose childhood one on a few years ago (along with a Kenner boxed/carded Black Mic’s, Silver Flute version & a boxed/carded Silver Mic/Black Flute version). Once I sell a fair few things, I’ll continue looking for a European Bi-Logo boxed version. 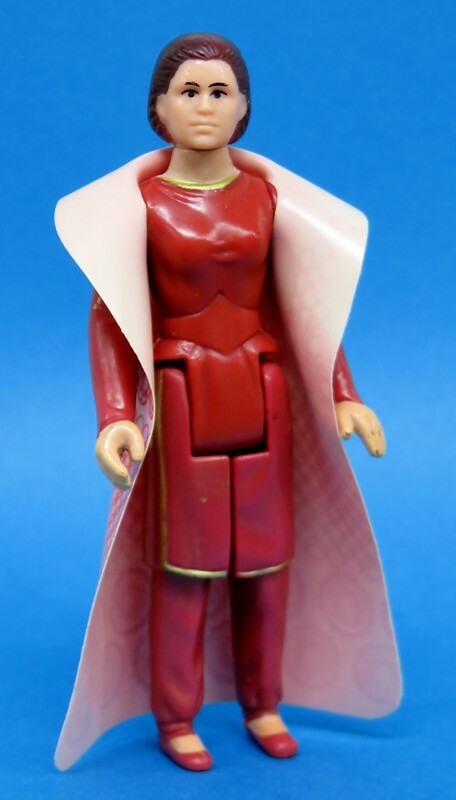 Purchased a nice upgrade for my tatty old flesh neck Bespin Leia..